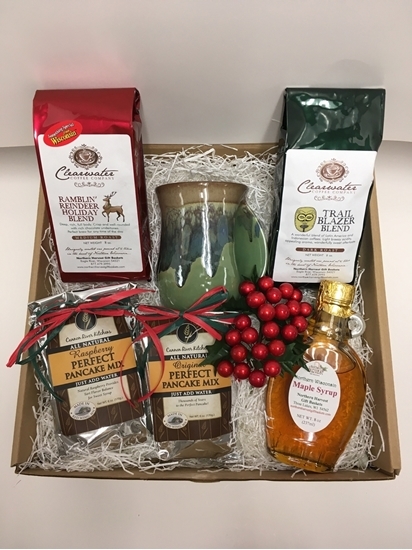 Festive Gift Bucket/Planter filled with Wisconsin maple delights, including: Blue Moose Mystical Blend gourmet coffee (8 oz. ), all natural Buttermilk and Raspberry Pancake Mix (6 oz. 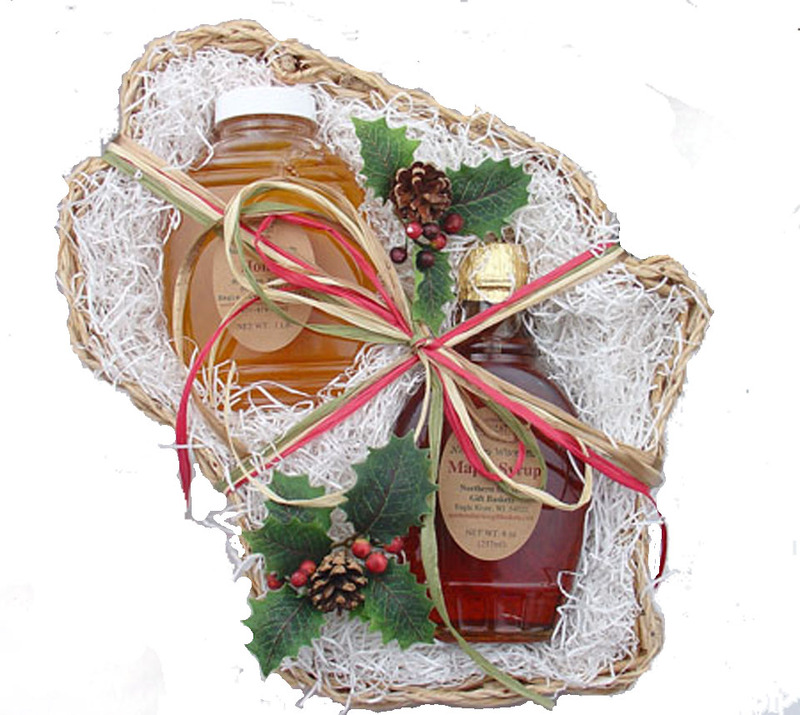 each), pure Wisconsin Maple Syrup in a Colonial Jug (8 oz. 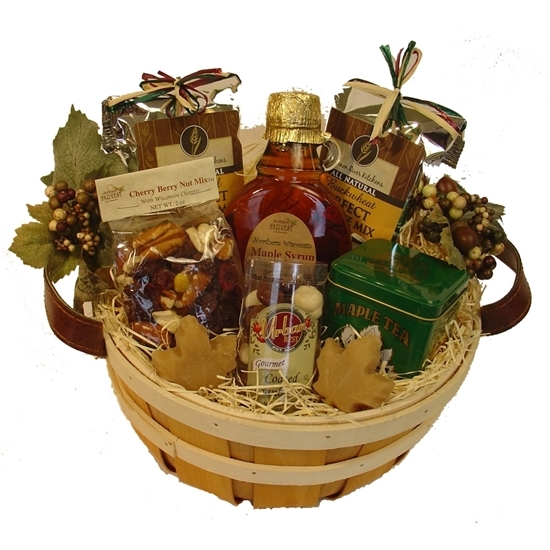 ), Maple Sprinkles (4 oz. 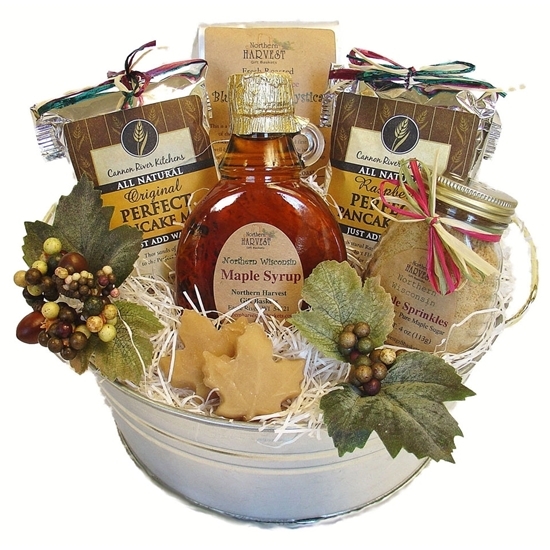 ), sweet Maple Sugar Candy (1.34 oz.). 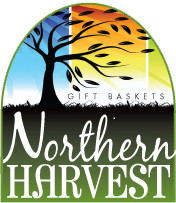 Northern Harvest gourmet coffee is roasted one pound at a time, as ordered! Now that is fresh!! 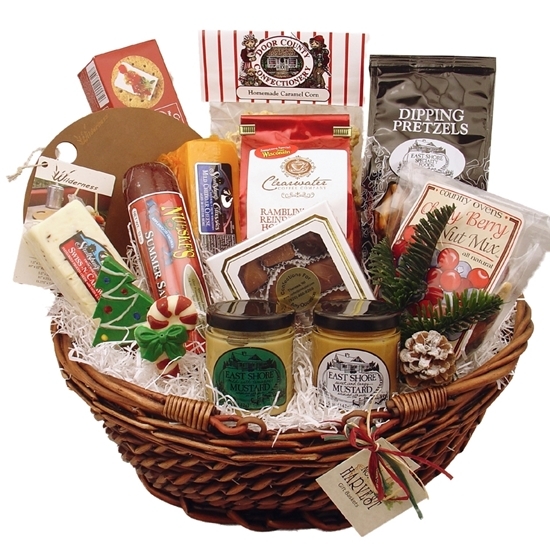 This basket is filled with breakfast treats. 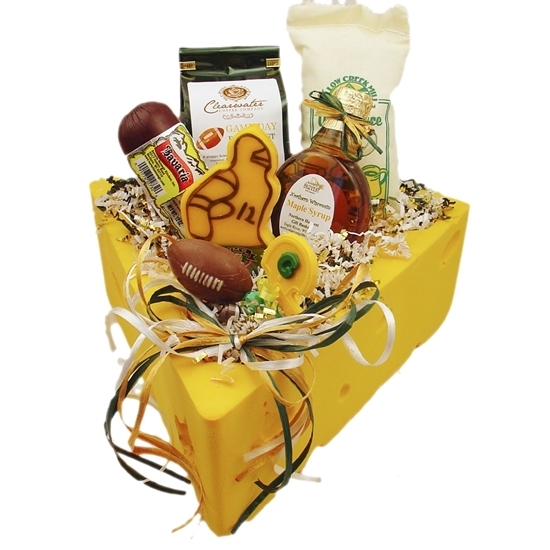 Make someone’s day special with this festive basket abounding with outstanding Wisconsin treats. Everything you need to start your morning off on the right foot. And in a basket to boot. 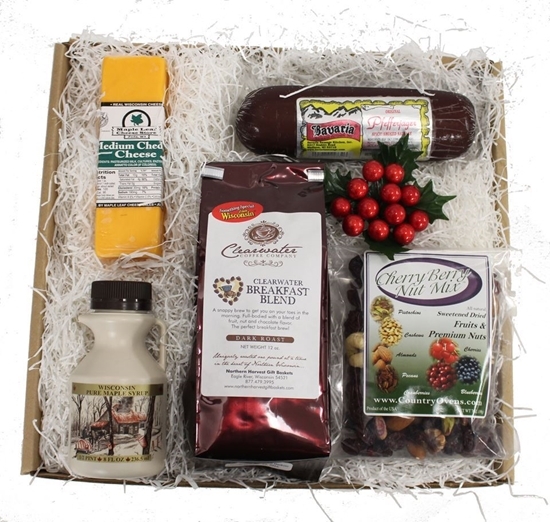 This festive kraft gift box holds many gourmet treats that Wisconsin is famous for. 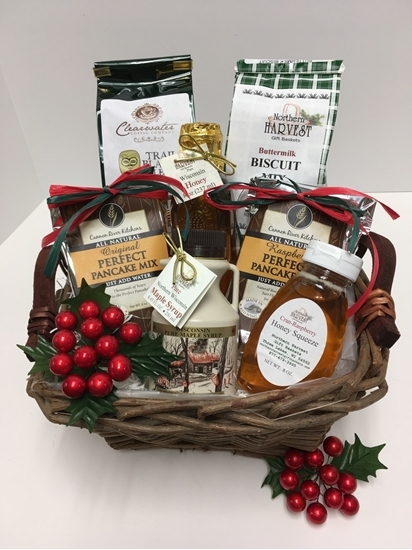 Northern Harvest will roast your gourmet coffee especially for your gift basket order. That is right...our coffee is roasted as it is ordered! Now, that is fresh!! 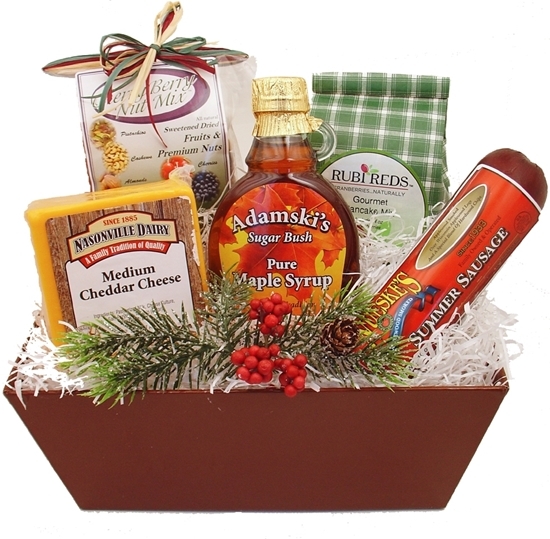 Give A Little Wisconsin Gift Box is one of our most popular holiday gifts.